According to Numbeo, Zurich is a city with one of the highest “quality of life” indexes in our comparison and a similiar result is provided by Mercer. Switzerland’s biggest city boasts quite a few superlatives and is known as the commercial, cultural and congress centre of Switzerland. It is the hub for train, road and air traffic, which gives it a big advantage over its competitors. It offers great congress infrastructure in the Kongresshaus Zurich and numerous other spaces, acccompanied by some amazing special venues. Congress guests will appreciate the excellent public transport, which, in combination with great public infrastructure, is a must if you want to stay at the top of your game. In terms of congress needs, of the Baltic triplets Tallinn is probably the most picturesque and diverse. The city has gone through many historical changes, right through from the medieval salesmen and knights of the Teutonic order, to the protestant reformation, Swedish and Russian imperialism, turbulences of both Wars and then to the Soviet Union, before final independence and the flourishing of its IT-industry and capitalism. All of these events today create a special culture that is the basis for development of a congress industry not lagging behind the competitive destinations. The congress industry is going through a real boom and Tallinn, with this year’s EU presidency, certainly deserves a strong round of applause. Tourism: Tourism is a branch of the economy that develops fast. According to the “Tallinn 2025” strategic plan, the capital of Estonia could become a centre of festival and event tourism in the Baltic Sea region. According to its conference and accommodation infrastructure, Ljubljana belongs to the group of capitals suitable for medium-sized and smaller meetings (up to 2.500 participants). It is positioned side by side with the new EU member states and geographically in the region of the Western Balkans. With two top-level convention centers and a very well-developed hotel meetings offer, Ljubljana is the region’s leading congress destination. At the end of last year in order to give Ljubljana a new sales and promotional momentum, a partnership called Ljubljana Strategic Bidding Team (LSBT) was established; it is composed of interested partners from both the private and public area. The city is extremely safe and one of the region’s most sustainably-oriented. Graz is a mature tourist destination, which is despite the crisis recording a steady growth of tourist arrivals and overnight stays in all tourism segments. Cultural diversity, rich history and the connecting Mura River have formed a high experiential diversity, which is reflected in the many opportunities for congress and incentive organizers and planners. In terms of infrastructure and transport, Graz is still the leading regional convention destination and can be also in this term described as modern, dynamic and internationally competitive. With more than 154 congress event and some 46.000 participants it achieves excellent results. Villach is the second largest city of Carinthia and its tourist sights attract an enormous amount of visitors. Villach has also become established as a small Silicon Valley in the Alps, with an international character reflected in the town‘s infrastructure. The main reason for a meetings industry in this part of Austria are the numerous incentive programmes, all of which you can engage with in a very clean environment. The most charming aspects are the Carinthian way of life, cultural diversity and a general sense of casualness. Locals also like to emphasise the border location, sat at the crossroads of three nations, which hasn’t been totally picked up in a congress sense. 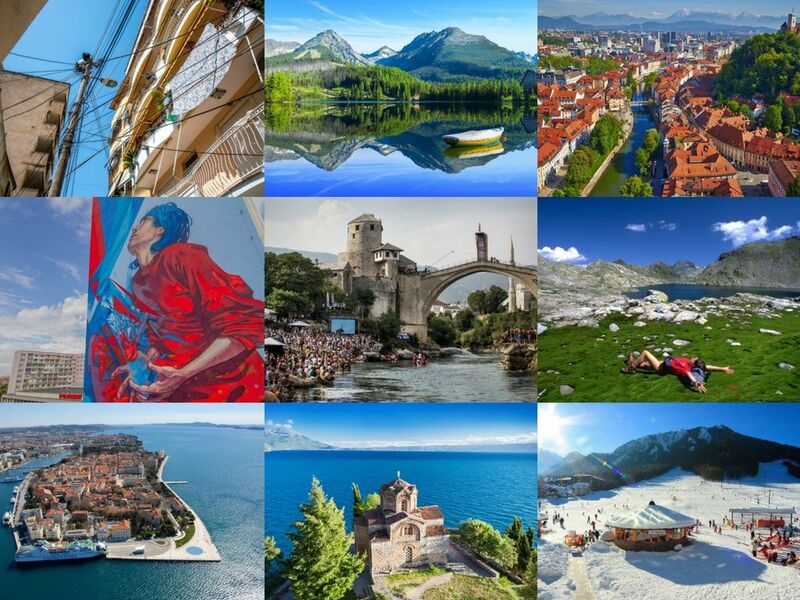 Among the Adriatic congress destinations Split has become serious competition to Dubrovnik in the last years. The main disadvantages of the destination are bad cooperation between the service providers, lack of air traffic connections to key markets and not enough destination marketing. If Split gets a real convention centre in the future, it could become one of the leading congress destinations in the Mediterranean. New and excellent hotel capacities, good road connections to Europe and wonderful surroundings, with numerous incentive programmes, all bolster this proposition. Split is still one of the most unexploited congress destinations in the Mediterranean. Bad Kleinkirchheim is known across the world for its skiing heritage, as the town is a long-time host of women world-cup ski races. Some might even recognize it for its thermal resort built in the 17th century. Less known is the fact that Bad Kleinkirchheim is an excellent incentive destination sprouting with diverse and exciting offer, which spreads across both the winter and summer season. There’s also no shortage of great accommodations. The incentive programmes range from active sports activities to historical and culinary experiences. What separates the town from the regional competition is a top-notch culinary offer, developed in a different way in every hotel. All of this makes Bad Kleinkirchheim suitable for more demanding incentive groups. The most important winter sports centre in Slovenia has among the Slovenian ski resorts the strongest brand, which is known worldwide mainly due to the Cup Vitranc. Slowly and steadily it has also developed a summer tourist offer, which enables the development of congress tourism. Both seasons are now virtually in balance. With the latest changes in the field of hospitality it will surely strengthen its position as an important centre for the implementation of incentive programmes and small conferences. Due to the recognition of the ski jumps in Planica and Vitranc Cup it has a high priority over other rivals in the region.